Elijah Millsap is back for another tour of duty with San Miguel. 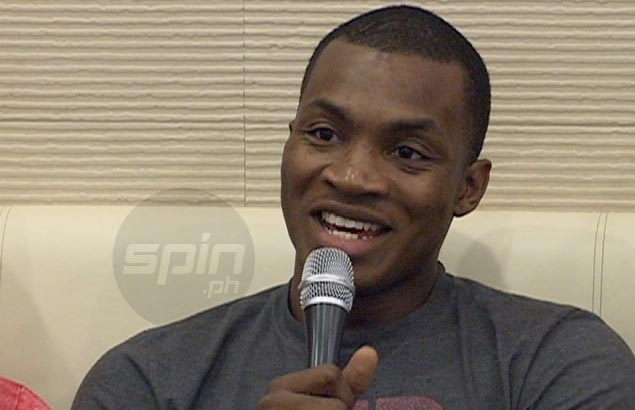 ELIJAH Millsap is looking to complete an unfinished business with San Miguel Beer. The prolific import arrived in the country on Thursday to replace Mike Singletary in a bid to boost the Beermen’s title retention bid in the PBA Governors Cup. Millsap suited up for the franchise in the 2013 edition of the same tournament where he steered the Beermen all the way to the finals only to lose in seven games against Marqus Blakely and the San Mig Coffee team (now Star Hotshots). San Miguel Beer sports director Alfrancis Chua confirmed to SPIN.ph about the move in a text message. The brother of NBA player Paul Millsap will be the third import of San Miguel in the season-ending conference after Singletary and AZ Reid. San Miguel team manager Gee Abanilla expounded on it, disclosing Singletary came in only as a temporary replacement for the injured Reid. “Mike Singletary only agreed as a temporary import for us since he has a commitment in Europe and pitched in for us while AZ nurses an injury,” said Abanilla, who was still the San Miguel coach when Millsap first played for the franchise. Abanilla also expressed the Beermen’s gratitude to Singletary, short as his stint was with San Miguel where he went 2-1 in the three games that he played. “We wish to thank Mike for his contributions to the SMB franchise and we are also excited to welcome Elijah to his next tour of duty,” said the San Miguel official. Millsap is coming off a two-year stint with the Utah Jazz in the NBA.